Deep House Future 2 is a professionally crafted collection of loops and samples that have been produced by our professional working team of in-house music creators. 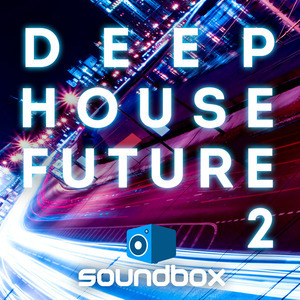 Producers looking to be inspired by the future sound of Deep House need to look no further. Within the hottest genre of House music that has come along since the early creation of Acid House, this pack will not disappoint. Fans of producers and labels such as Dusky, Bonobo, Spinning Deep, Aus Music, Jamie Jones, Defected, Get Physical, Hot Since 82, Tube & Berger and Crosstown will find these loops and samples will give you those instant hooks and grooves to stand among the big names of the scene. 171 ready to go loops to use fully produced or to be edited and crafted at your will for total track manipulation. Sub-heavy bass, bass-pounding drums, tech-hooky synths and section introducing FX make this collection the definitive sound for House producers looking to take their productions to a higher level. All music loops are key labeled for ease of use and are at 124bpm so get creative mixing and matching to craft your next Deep House track with that future vibe.